"Over 29 million Americans have diabetes." There are two primary types of diabetes, and each one affects different groups of people. Also called juvenile diabetes, Type 1 occurs as a result of the body attacking itself, namely the pancreas. In the battle, insulin is destroyed, and without these cells the body can't adequately process glucose, causing elevated blood sugar levels. People with Type 2 diabetes are able to produce insulin, but the levels aren't enough on their own to keep people healthy. Type 2 diabetes often results in something called insulin resistance, in which cells can't properly interact with one another. For the most part, the exact causes of Type 1 diabetes remain a mystery. However, as Mayo Clinic pointed out, doctors have some theory about why the body begins to attack itself and reduce insulin levels. More than likely, Type 1 is the result of both environmental and genetic factors. Type 2 diabetes, meanwhile, has a more concrete cause. Namely, your body becomes resistant to insulin, and that causes sugar to build up in your bloodstream. While the reason for this resistance is still debated, a prevailing theory is that being overweight contributes to Type 2 diabetes. In fact, per research from the Harvard Gazette, serious obesity can increase your risk of diabetes 60 times. "Diabetes prevention comes with a few important lifestyle changes." As most doctors will tell you, your best bet is to avoid diabetes in the first place. According to the Mayo Clinic, the most effective preventative option is a series of lifestyle changes. That includes getting plenty of exercise, which helps you control blood sugar levels and manage your body's sensitivity to insulin. You also need to try and eat better, especially whole grains - found in pasta and cereals - and plenty of fiber, which has other essential health benefits. 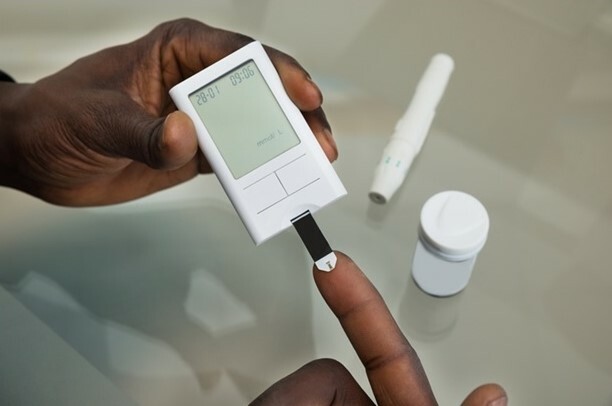 According to the American Diabetes Association, treatment for the condition involves constant monitoring, usually through blood glucose tests and medications to help with maintaining proper insulin levels. However, the ADA noted that new treatments are being explored all the time. In recent months, there have been several promising research projects into better treating or preventing diabetes. For instance, a team from the University of Cambridge recently unveiled a new drug to effectively manage the immune system. Aldesleukin, which is already a treatment for skin cancer, is being used in high doses to prevent the immune system from attacking itself. In early clinical trials, the drug is having some promising results. Meanwhile, as the Latin Post reported, a team from the University of Virginia School of Medicine is taking a different approach entirely by creating an artificial pancreas. The close-loop artificial model replaces the real pancreas, creating vital insulin the body needs. The device, no bigger than a cell phone, is attached to the outside of the body and monitors glucose levels every minute or so. Finally, in a recent study in the journal Nature Communications, a team from Germany identified an important genetic factor pertaining to glucose metabolism. According to the researchers, the gene TSC22D4 plays a key role in how the body absorbs glucose, and when the gene was turned off in laboratory mice, the subjects had more efficient glucose levels.